The chief economist of the Bank of Montreal is showing more caution in the property market, but mainly in two areas. Douglas Porter, who has been positive about the strong market, published a research note yesterday with concern about Toronto in particular but also Vancouver. Porter says that elsewhere in Canada there is an easing of prices or at least an understandable rise due to higher demand from population growth. 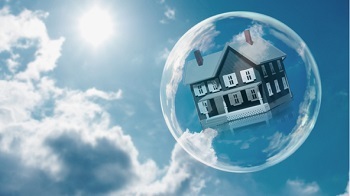 The three main factors in the over-valued market are ultra-low interest rates, a boom in the numbers of 20-38 year old first-time buyers, and foreign investors. It is the foreign investment that Porter believes Ottawa should tackle by introducing a tax on non-resident real estate purchases. While sounding a cautious note, he still says that he does not predict a market crash.